I have worked on and coordinated a diversity of conferences and events.From small dinner and gorilla events to full blown hosted conferences. While not a conference coordinator, I have performed many of the tasks including site visits, negoation, catering and speaker management. In addition I have designed booths for trade shows, corridinated booth staff, setup, tear-down and shipping. I have created collateral for conferences, including conference branding, registration, conference schedules and books. 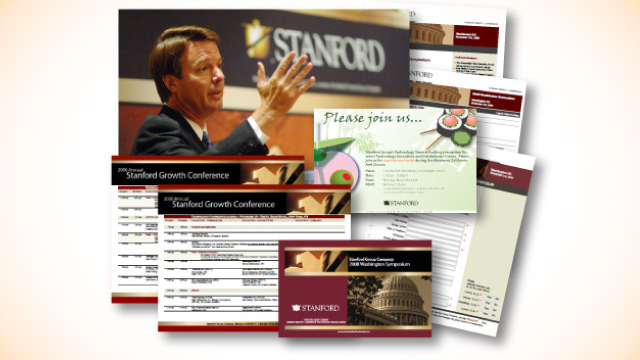 The above image is a sample of some of the collateral I created for an industry conference.